Steven Spielberg’s, Warner Bros. sci-fi blockbuster Ready Player One opened Friday, March 30, 2018, in theaters across the country. 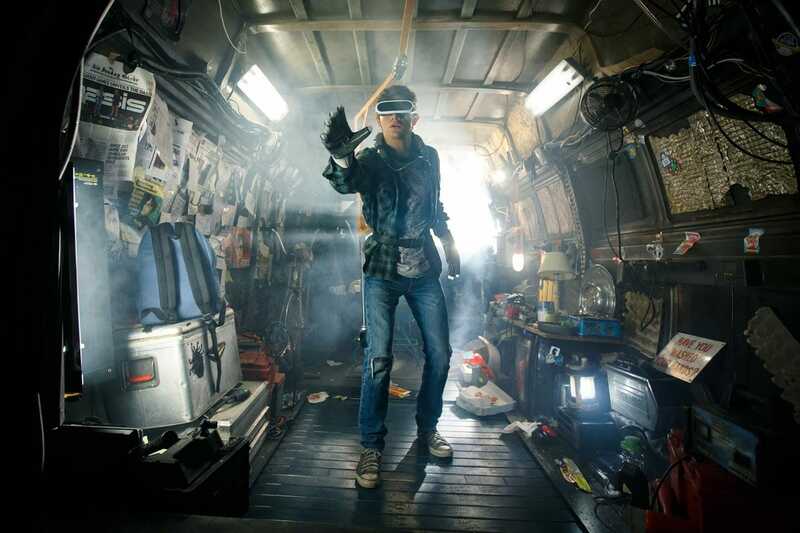 Set in a bleak version of the United States circa 2045, Ready Player One focuses its story a socio-economic divide where many without the means to enjoy living in the “real” world escape to a fully immersive open-world virtual-reality “game.” (When I say fully immersive, the gear includes all manner of sensory experience — more on that later). The leading game going is called the “OASIS.” And unlike contemporary games Overwatch or Fortnite that may rule the masses for months, the OASIS has been the dominant gaming environment for decades. In short, this place is a self-selected version of The Matrix. We’re introduced to our hero immediately and he serves as the narrator, explaining how the OASIS came to be and why it’s so popular. In the real world, our 18-year-old guide, Wade Watts, makes due in a nearly derelict community of skyscraper trailer homes. In the OASIS, Wade is somebody. His avatar is a somewhat-respected “GUNTER” named Parzival. What’s a GUNTER? Well … our friend Wade (aka Parzival) explains that OASIS creator James Halliday, a zealout of ‘80s culture and video game liner notes, left behind his own clues and easter eggs in the OASIS. Once James Halliday dies, he releases a message to the world that these clues lead to a final easter egg that will relinquish control of the trillion-dollar company and the OASIS itself. Most of the world starts chasing down the clues, with the most devoted being labeled an “Egg Hunter” or “GUNTER” for short. Along the way, Parzival befriends and teams with GUNTERS Ar3mis, Aech, Daito, and Shoto to form the “High Five.” They band together mainly to beat the company “IOI” and its CEO Nolan Sorrento at finding the egg. Sorrento and IOI’s board of directors have designs on winning the contest, taking over and turning the OASIS into Facebook, i.e. selling advertising on “80% of the viewable screen” before inducing seizures. Well, the “High Five” ain’t … having … it. Adapted for the screen by author Ernest Cline, the movie certainly captures the spirit of the book. But it also deviates in some key areas. Much of this has to do with compressing the narrative into a big screen runtime. First … Really … The Center of The Known Universe Is Columbus, Ohio? Okay. I don’t have a beef with Ohio. I was born in Ohio. And I’ve visited Columbus recently — it’s a nice place. But really? In the book, the “High Five” are from all over the globe. A theme that makes a great deal of sense for this story is how not only the OASIS expands possibilities for every individual, but how it also can make the world a smaller place. Much like social media, it can bring people closer together. I laughed at the laziness of the movie. Everyone seemed to reside in Columbus, Ohio. For all its 80s pop culture references, the book tended to favor (IMHO) music and video games. Sure, movies and TV shows had their place, but early video games played a hand in at least three critical junctures of the book. The movie reduces those to one. Some of these conceits wouldn’t have made compelling storytelling in a movie. So, it makes sense why the filmmakers swap out convoluted references for more concise plot development and mainstream pop culture references. Most of these changes occur in the contest challenges. Save the final challenge, the contest quests are different. As I watched the movie, I found myself feeling ambivalent. On one hand, it disappointed me that I wouldn’t see the original narrative translated to the screen — most notably the Flicksyncs. (If you’re not concerned about spoilers, see this IGN article that detail the differences. Or this on Newsweek.) But I also found myself delighted because the movie delivered some truly memorable moments. “The Shining” scene was pure magic. One of The Book’s Minor Characters is Non-existent … Or Is He? Though’s he’s present in spirit via the flashbacks, he’s otherwise notably absent in the movie. This disappointed me. Maybe I’m just a sucker for the thinly veiled Wozniak clone. A Role Reversal For Two of The Main Characters? In the movie, Art3mis is given quite a bit more agency. In fact, in the movie she inherits one of Wade’s major plot point roles. What’s interesting to me — in both renditions — is that it is clear early on that Art3mis has more intestinal fortitude and depth than Wade. We may not always see it on display, and one could argue that’s a failing of the story. I, in turn, regard that more as a flaw in Wade’s character. He is, after all, the narrator. 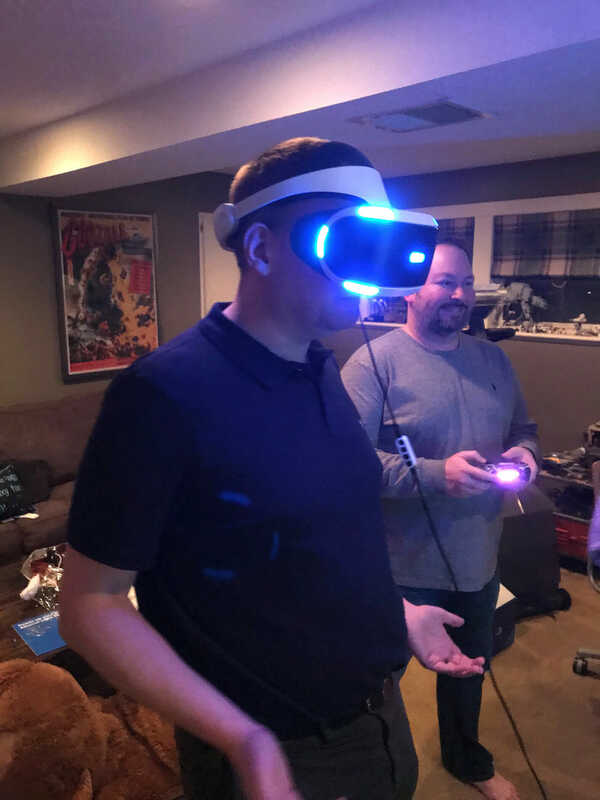 Final Thoughts About Ready Player One — Book or Movie? Sorry, I’ll stop ranting. And, really, it’s a relatively minor rant at that. The movie makes for a great spring/summer popcorn flick. An Entertainment Weekly review suggested the movie started to bore, much like watching a friend play a video game too long. 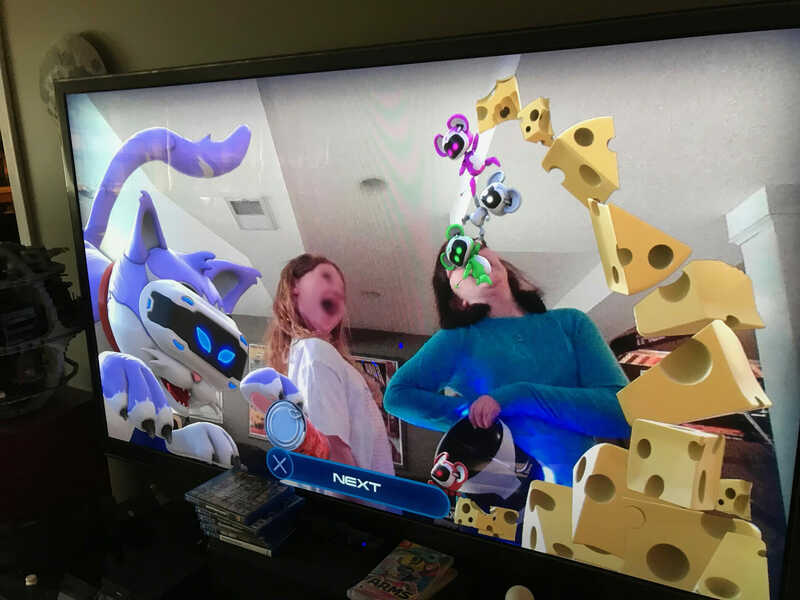 As VR has become popular in my house, I disagree. Many of the scenes from the movie are thrill-seeking, immersive experiences. That “The Shining” scene will haunt me for days. They’re of the same spirit animal, but they hunt quite a bit differently. About the author: Brent Bowen is one half of the wife + husband blog team at HeSaysSheSaysKC.com. There they chat about the things they enjoy in life (including geekery like “Ready Player One”), travel, sundry family adventures and their love of Kansas City. They actively support Amethyst Place and Kansas City Young Audiences. ← Kansas City FilmFest: Light! Camera! Adventure!